A call is being made to tackle litter problems around two south of Scotland beauty spots. 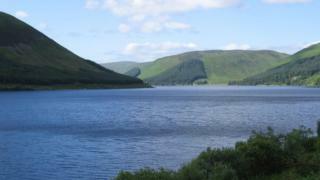 Residents have raised concerns about the situation on the shores of St Mary's Loch and the neighbouring Loch of the Lowes. Scottish Borders Council and Police Scotland are to meet with the local community council to discuss the issue. Among their suggestions is to look at employing a seasonal warden to monitor the problem areas. The public meeting is being held at Cappercleuch Hall on 12 September at 19:00.